So, we made it. 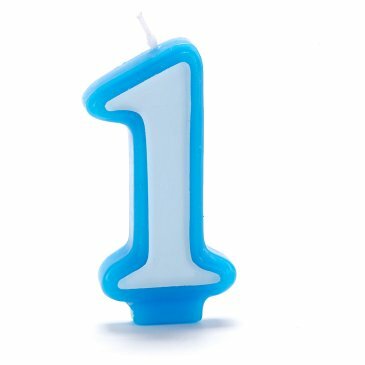 One year of doing this blog. 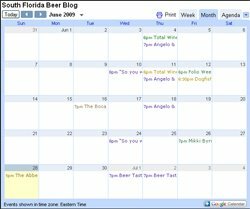 When I started doing the blog I did it because there wasn't much of a craft beer scene in South Florida. Over this year we have seen an amazing growth in the amount of craft beer bars, restaurants carrying craft beer, and stores carrying a great selection of craft beer. The amount of beers that are now available in South Florida is growing more and more each day with breweries starting to realize that South Florida is a place that they want their beers to be. I have heard lots of talk about other great breweries coming to South Florida in the next year or so and also of more beer bars opening. Peoples palettes are changing and once they try great craft beers there is no going back. We can only hope that things just keep getting better and better. In the past year we have 16,176 unique visitors from every state in the U.S. and every continent. It amazes me that that many people would have an interest in what is going on in the beer community in South Florida and what I have to say. I greatly appreciate the support that I have received over the past year from my family and friends The one person that has been the biggest support is my wife. Without her being there to support me and not mind that I sit in the office and write about beer all night I probably would have just given up on doing the blog long ago. The amount of work that actually goes into just doing one post is something that unless you do a blog you won't understand. Thanks so much for reading the blog all year and I hope you will continue to read it in the future. If you aren't doing anything tonight then I hope to see you at Abraxas for the Anniversary party. You can get all the info by clicking here. Congrats! I hope you can celebrate many more! I would love to see some pictures from last nights celebration. I wish I could have been there but I was making the trip across the state! To good health and better beer!